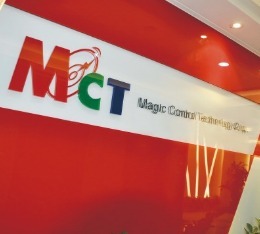 Magic Control Technology Corporation. (MCT), Headquartered in Taipei, Taiwan, was established in 1997 along with its manufacturing branch, Long Jack. MCT is able to leverage its vast engineering and manufacturing capabilities to bring the most cost-effective, cutting-edge technologies to the market. Our innovative and cost effective solutions promote MCT’s continuous growth. Quality is always the core-value when MCT develops its products, sales, and service. MCT provides customers with excellent custom solutions in both product and technical development in everything from USB peripherals to complicated networking services solution and a revolutionary multi-user platform. MCT’s OEM/ODM clients are worldwide. 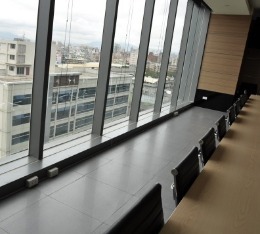 By working closely with them, MCT is able to predict the market trend and develop innovative new products. 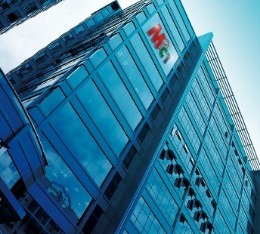 MCT is positioned to be a leading company at the forefront of new technology. In 2009 MCT aligned with Microsoft to develop our world class USB MultiPoint Workstations for Windows MultiPoint Server 2010. MCT continues to work closely with Microsoft to improve performance, expand the number of simultaneous users, and improve the ease of use and workstation setup. Our current technology lineup features our USB peripherals, the fastest PCI-E Docking Solution, Networking Products (Server and Network Attached Storage) and Multi-User Multimedia Workstation. MCT’s USB port replicator (Docking solution) has instilled a reputation for quality among its customers. MCT will continue to bring the same dedication to every product it pursues. MCT leverages its manufacturing expertise and moves tirelessly into new areas of related business. MCT's continuous dedication to developing the most advanced and economical products will benefit its customers and allow the company to grow into the future. MCT will continue to listen to both its customers and the market, to ensure that the company continues to serve their needs. MCT is continuously expanding, and is open to any potential business opportunities. With flexible display technology, you can better apply this solution to a variety of environment, and break the limitation of your resources in existence. Expand your view of new computer experience with MCT’s display technology. Supports multi-application, with friendly software targeted to control your extramonitored. Standard VGA output and 12/14 DVO supported with easy Implementation of varies digital video output supportedincluding DVI/HDMI/LVDS and others. Single chip, small package and low power consumption. Low profile packages available for different target applications. USB Display Solutions for HDMI and Full HD. Resolutions Higher than 1920X1080 Supported Wireless and Ethernet Options Expand Range Super Speed USB 3.0 Technology Integration.